Crooked Hillary has made her way to Australia and she was spotted once again in a heavy coat and long draping scarf. 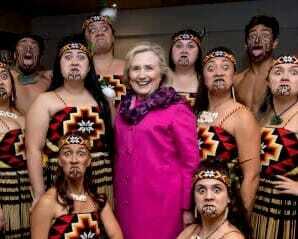 Granted, it is Autumn in the southern hemisphere, but Hillary’s coat-and-scarf get up is raising eyebrows. 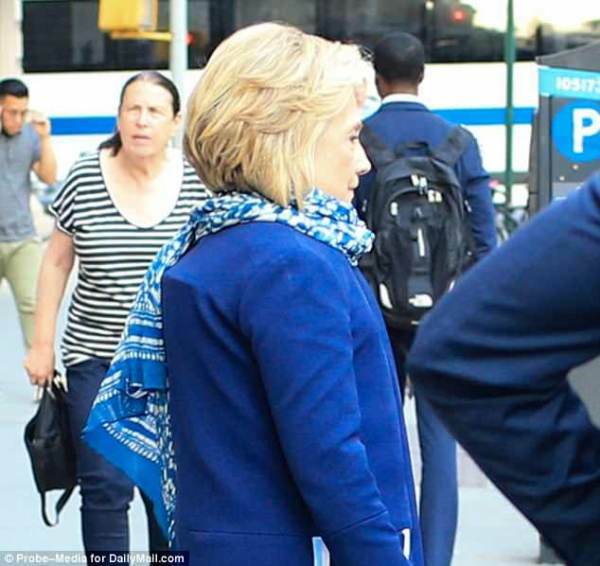 No matter what Hillary does to hide her back brace, it is still visible. Hillary Clinton has donned yet another massive scarf during an appearance in Australia after earlier photos indicated she might be trying to hide a back brace. 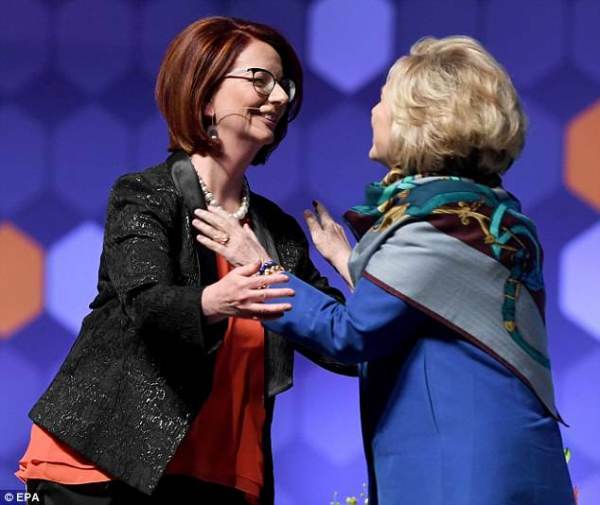 The 70-year-old draped the $1,100 patterned Hermes cashmere blend shawl around her shoulders when she met with Australian former Prime Minister Julia Gillard in Melbourne on Thursday. 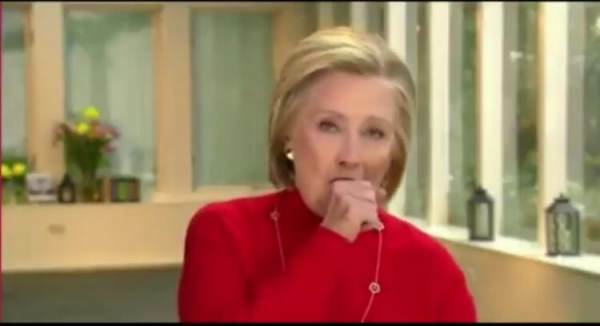 Remember when the liberal media called Hillary Clinton’s health concerns a right-wing conspiracy? 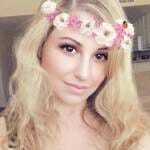 She’s a picture of health!